Opinions, reviews, analyses & recommendations are the author’s alone, and have not been reviewed, endorsed or approved by any of these entities. With all of the recent changes to the Marriott rewards program (now known as Marriott Bonvoy), it’s easy to get confused about what benefits each status tier now offers. In this article, I’m going to focus on the benefits offered by Marriott Gold status and walk you through each of these. What is Marriott Gold status? What are the Marriott Gold status benefits? Marriott Gold status is a low, mid-tier status with the Marriott Bonvoy rewards program. This status is no longer as valuable as it once was due to several key benefits that were taken away after the Marriott/SPG merger. Here’s how it compares to other statuses with Hyatt and Hilton. or holding 3 qualifying meetings/events per year. or holding 10 qualifying meetings/events per year. or holding 20 qualifying meetings/events per year. You can also achieve Gold status with the following credit cards. The Marriott Bonvoy Boundless Card offers automatic Silver status but you can earn Marriott Gold status by spending $35,000 in a year. That’s a lot in spend per year for a status that doesn’t even offer breakfast so I would rather put $35K to use in another way. You’ll also be given 15 Elite Night Credits each calendar year, which can help you reach Gold status much quicker since you’ll only be 10 nights away from reaching Gold. Free nights start out at 5,000 points per night for off-peak Category 1 awards and welcome bonuses can range from 75,000 to 100,000 points after meeting minimum spend requirements. So after earning the bonus you could use 50,000 Marriott points to climb your way to Marriott Gold status since free night stays count towards elite status. Another great benefit of this card is that you get an annual free night for properties that cost up to 35,000 points per night. Click here to find out more about this card. 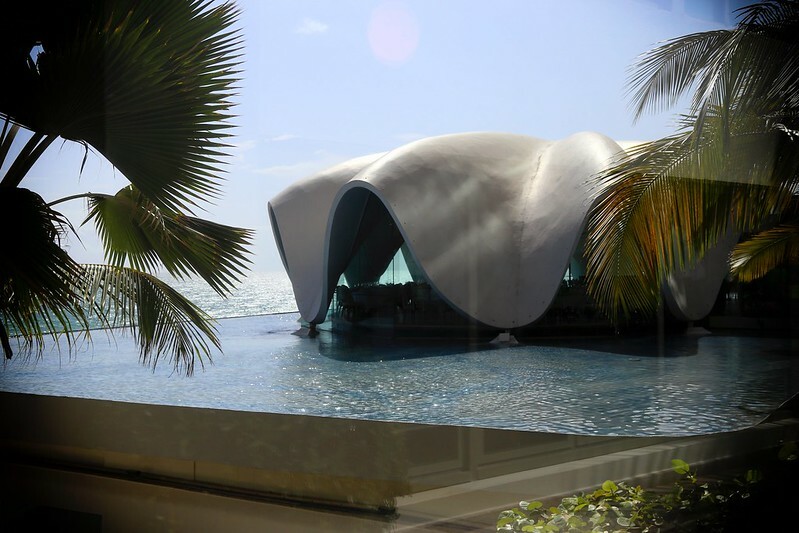 The Amex SPG Credit Card is no longer accept new applications as of February 12, 2019. The Marriott Bonvoy Brilliant Card offers automatic Gold status but you can earn Marriott Platinum status by spending $75,000 in a year. Platinum status will get you breakfast and lounge access but that’s a lot of spend for Platinum status and once again, I don’t think I would go for it. Each calendar year you can receive credit for 15 nights towards the next level of Elite status. Limit one 15 Elite Night Credit per Marriott Loyalty Program member. Receive a statement credit every four years after you apply for Global Entry ($100) or TSA Pre√® ($85) with your Card. Free, unlimited Boingo Wi-Fi at more than 1,000,000 Boingo hotspots worldwide. Interested in the Amex Platinum Card? You can click here to find out more about this card. You can always inquire with Marriott customer service either via email or by phone to see if you’re eligible for a status challenge to Gold. If you’re eligible, you’ll probably have to hit something like 8 nights in a designated time period (e.g., 3 months) to achieve Gold status but the challenge terms could vary. Keep in mind that you usually can only enroll in these challenges once every three years. Marriott La Concha Hotel in San Juan, Puerto Rico. Gold Elite members are credited with a 25% bonus on base points earned during stays. At most Marriott properties you’ll earn 10 Marriott points per dollar spent, so this with this bonus you’ll be able to earn 12.5 points per dollar spend. At a value of .8 cents per point, Gold status earns 10% back, which is not bad. Consider that if you value Hilton points at .5 cents per point, Hilton Gold offers you 9% back and that status requires many more nights to obtain than Marriott Gold. You’ll get to check out as late as 2pm (based on availability). This is a step down from the guaranteed late check out of 4pm that used to be offered by Marriott Gold. This benefit is available at all Participating Brands except at Marriott Vacation Club, Marriott Grand Residence Club, and participating Vistana properties. Suite upgrades are excluded for Gold Elite Members. At The Ritz-Carlton, rooms with direct Club access are excluded. The Complimentary Enhanced Room Upgrade for Gold Elite Members is available at all Participating Brands except Marriott Vacation Club, Marriott Grand Residence Club, Aloft, Element and participating Vistana properties. Note that just because suites are explicitly excluded, that doesn’t mean that you can’t ever get upgraded to one; it just means that they’re not obligated to put you in one and that you shouldn’t expect to be put in one. This benefit is provided where available, regardless of booking source, at all Participating Brands worldwide except at the EDITION brand. Keep in mind that you can get this benefit with the Marriott Boundless credit card. Book 5 consecutive nights and the 5th night is free (this perk is available to all Marriott status levels but is worth mentioning). Gift Shop Discount of 10% on retail merchandise. If a Participating Property is unable to honor the reservation, it will pay for comparable accommodation nearby for the Elite Member that night and compensate the Member for the inconvenience. At The Ritz-Carlton and St. Regis Hotels, the Ultimate Reservation Guarantee only applies to Platinum Elite and Platinum Premier Elite Members. ** Available only to Platinum Elite and Platinum Premier Elite Members. Under the new program, Gold elite members no longer receive breakfast or lounge access. This represents a huge devaluation for Platinum cardmembers and others who were able to match to Marriott Gold since that is where the bulk of the value for this status was. 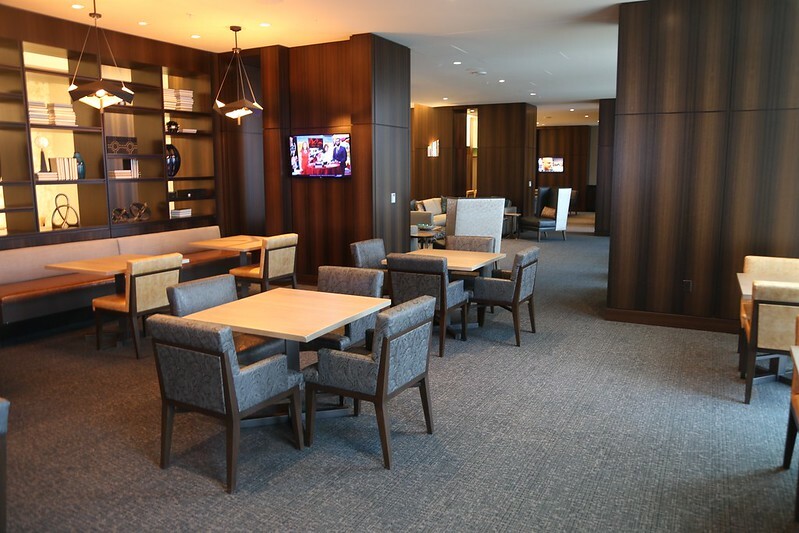 Since it is possible to get upgraded to Executive Floor rooms, it could be possible to get lounge access at some hotels so as a Gold member, you at least have a shot at getting these perks. Marriott Marquis Houston M Club Lounge. Overall, the benefits for Marriott Gold Elite status have been watered down after the SPG/Marriott merger to a large degree. The new Marriott Platinum is essentially the old Gold which doesn’t really effect you if you reached status by staying nights but if you obtained Gold via credit cards, this was a pretty big devaluation. H-Town based Attorney turned credit card rewards expert. Founder of UponArriving.com. Hello. I thought that according to OMATT, one can only link their SPG account with either Ritz Carlton or Marriot, but not both. Am I able to link both to be considered gold for Marriot and Ritz Carlton? Thank you. Besides OMATT, you are a great travel blogger. I like your blogs and I am happy to have found it. It has been very useful and informative. Thanks I really appreciate it. When I linked my SPG to Marriott, I was given Marriott Platinum and Ritz-Carlton Platinum. Thank you for your amazing posts. So, how can I make sure that my Marriot and Ritz Carlton accounts are both gold? Thanks for the advice. I look forward to more of your posts. DISCLAIMER: I receive compensation for some (but not all) content, advertisements, links, and products discussed on this website. I only recommend proven products and always provide honest and thorough opinions, findings, and reviews of such items. Such content, advertisements, links, and products may not always be identified as paid or sponsored content. UponArriving has partnered with CardRatings for our coverage of credit card products. UponArriving and CardRatings may receive a commission from card issuers. The opinions and evaluations here are mine and not provided by any bank including but not limited to American Express, Chase, Citibank, Discover, Barclaycard or any other financial institution. They have not at any time reviewed, approved, or endorsed the material on UponArriving.com. In addition, comments found on UponArriving.com in response to posts or other comments have not been reviewed, approved, or endorsed by any bank. It is not the responsibility of any advertiser to ensure that questions are answered. While I make the best efforts to ensure the accuracy of all information published on this website, it is ultimately the reader's responsibility to verify all information before applying for credit cards.